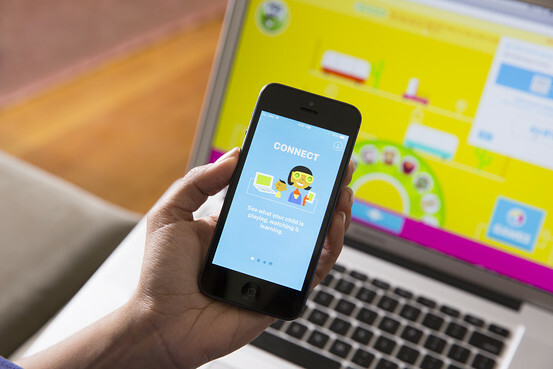 PBS Kids is arguably one of the most popular non-commercial websites for preschoolers. The nicely designed website provides a simple, interactive online experience. If your child loves PBS characters like Curious George or Sesame Street, he will love being guided through all the games by his favorite friends. Children who want to acquire basic skills through fun games will enjoy PBS Kids. And while PBS Kids does offer a safe experience for children, I recommend parents supervise, especially if they are very young. This ensures they do not surf on other internet pages. Another concern about PBSKids.org is the advertising. While unobtrusive as compared to other websites, it can still negatively impact your little one’s fun. This article reviews some of PBS Kids main content types in order to determine whether or not they are suitable for younger children. The first thing that parents want to know about these kinds of websites is what exactly their kids can learn from them. The good news is that, with PBS Kids, the answer is “plenty of things.” The main subjects on PBS Kids include math (simple equations, shapes, sequences, or numbering exercises). Also featured is language and reading (letter and word recognition or vocabulary exercises with your child’s favorite cartoon characters). Science games include fun online activities and resources about plants and animals. Besides these basic subjects, kids can also sharpen their reasoning, thinking, and self-direction skills. The site contains logic games like puzzles, illustrated books, and reading exercises. It also features activities that encourage personal growth and academic development. Most of basic concepts are presented on PBS Kids games in such a way that even 3-year-olds can understand. For example, children learn identifying objects, patterns, or colors through constant practice on interactive games that also give messages of encouragement. Although most games were designed with a certain educational purpose in mind, this isn’t immediately clear. Most parents can’t see the benefit of having their child spend time on it they abandon the website. I consider that a brief description of the game’s purpose would definitely help. Most parents do everything in their power to monitor their kids’ online activity. With some apps and websites, this is incredibly difficult to do. All you have to do is to lose track of time for a couple of hours, and your children will become completely absorbed by what they’re doing online. PBS Kids has come up with an ingenious solution. It provides monitoring of the time spent on their website, as well as monitoring what exactly they are doing (and learning) on it. All you have to do to find out what the mini-masterminds are up to is to download the PBS Kids Super Vision app from the mobile app-store. It will give you clear instructions on how you can connect it to your device and account. Once the syncing process is complete, you can use the tools put at your disposal. This includes the Play Timer, which causes the website to “go to sleep” once your little one consumes his allotted playtime. Your app will also update every time your kid finishes playing. It includes statistics about what he was doing, as well as what he should do to reinforce his learning. PBS Kids has more interesting features that parents will enjoy. I am talking about PBS Parents, a resource website dedicated to helping mothers and fathers understand their children better. Most importantly, it features information on understand their child’s emotions and encouraging their passions to guide them through life. The section of the site has a brilliant grade-by-grade educational resource to help parents better understand the struggles of elementary age children. PBS Parents is packed with useful information and activity ideas such as cooking, crafts, birthday party inspiration, adventures in learning, and more. Interactive apps: These help children improve math, creativity, science, reading, social emotional, music and literacy skills. Apps can be filtered from their specific category according to age, show or skillset. Videos: Children can watch interesting and educational videos with their favorite PBS characters. Writing Contests: Kids can periodically sign up for the writing contests and some kids are featured on the website. Cartoon Studio: Has your kid ever dreamt of creating his own cartoon? His dreams can become reality with the PBS Cartoon creation app. Children who love famous PBS cartoon characters will definitely love most of the games on the websites. Parents can also download printables for their kids. In addition to this, PBS Kids spoken instruction provides excellent guidance for younger children. The website has a HELP section where you can find answers to common questions related to usability. For parenting questions, you should visit PBS’s dedicated parenting website. The sections dedicated to parents are extremely useful and rich in information. Furthermore, the PBS Parents section updates with new information on a daily basis. Combining fun activities with learning has always been a good way of enticing a child’s appetite for knowledge. PBS Kids does this very well with PBS kids shows, PBS kids games, and PBS kids videos. All in all, PBS Kids seems like one of the best online resources for children. The website has a user-friendly interface, voice features, and easy games. Therefore, we highly recommend it to children from preschool to fifth grader.